For those that aren’t makeup addicts, you probably don’t know about Makeup Revolution. Makeup Revolution is a UK-based, affordable makeup brand that has been available in the US for a while now… mainly retailed at Ulta on the drugstore side. 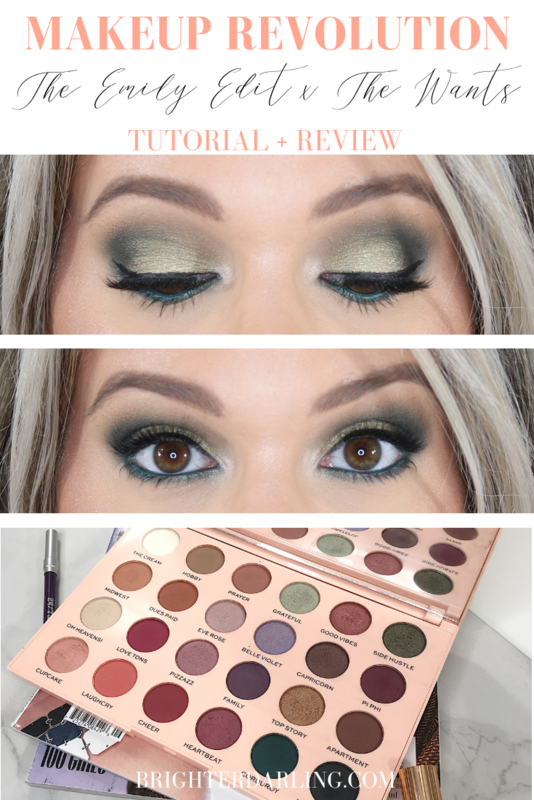 The brand just launched a collaboration with two face and eye palettes by YouTube sweetheart, EmilyNoel83 (or Beauty Broadcast… however you may know her). 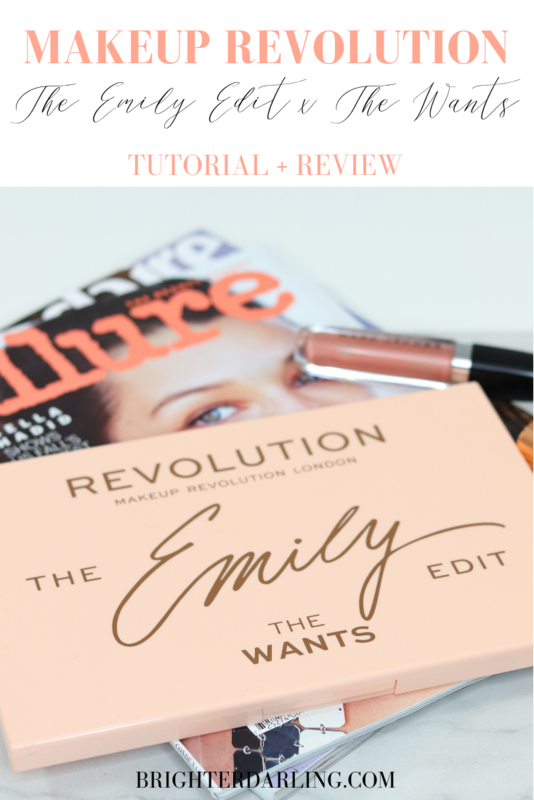 Today’s post is all about Makeup Revolution The Emily Edit The Wants tutorial and review featuring this palette and stunning green eye look. 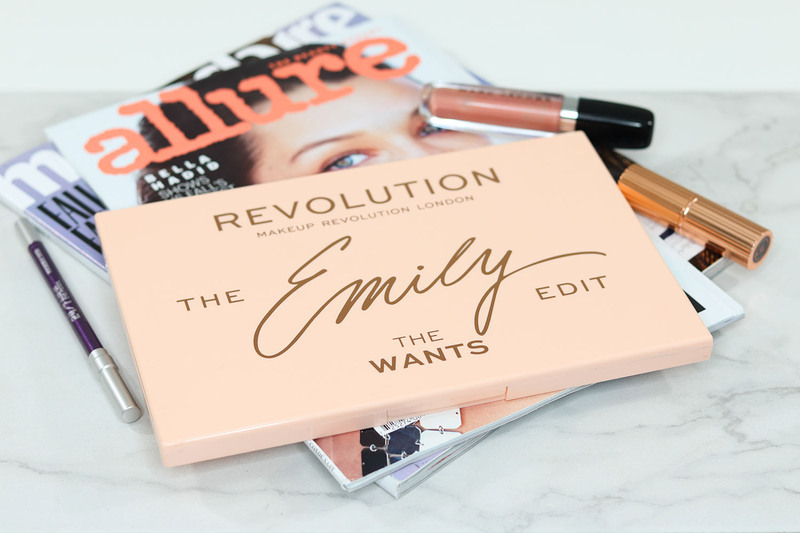 The Revolution x The Emily Edit includes two palettes – The Needs and The Wants. The Needs is your basics. It includes four face powders – matte highlight, shimmer highlight, blush and a bronzer – and six neutral eyeshadows to take you from daytime appropriate to classic, brown smokey eye. The Wants palette is where you can get a little creative and have more fun. It has 24 eyeshadows in various finishes – matte, satin and shimmer. 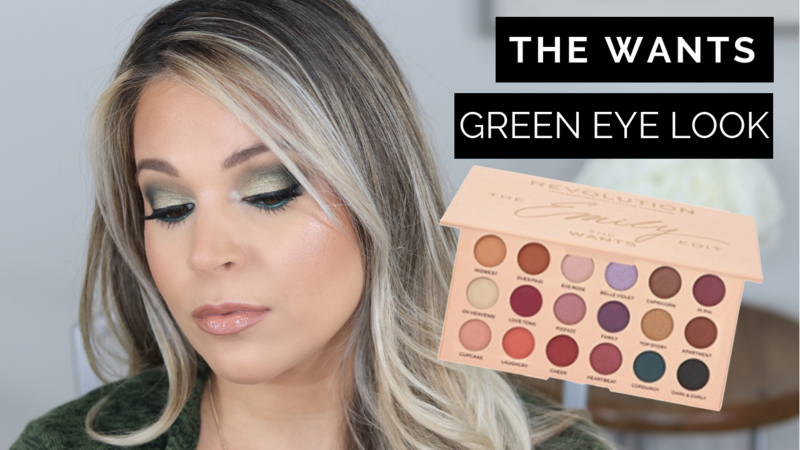 Emily curated The Wants palette thinking about all the different color varieties someone could want in an eyeshadow look, while still maintaining wearability and user-friendliness. 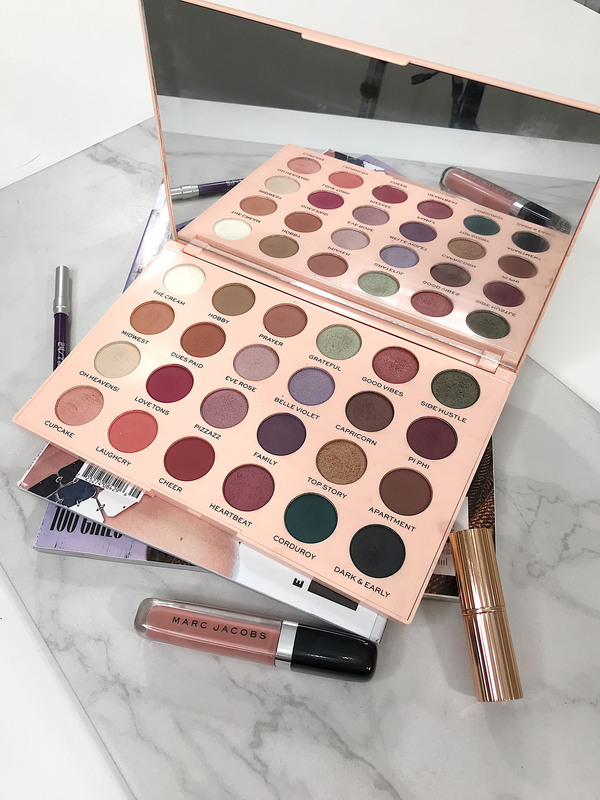 If you look closely at the palette, you’ll find you can create a basic all matte neutral eye (similar to what you’d get in The Needs palette), a soft glam neutral shimmery eye, a purple eye, a berry eye, a super warm-toned eye, a moderately cool-toned eye, a green eye and lots of in between. 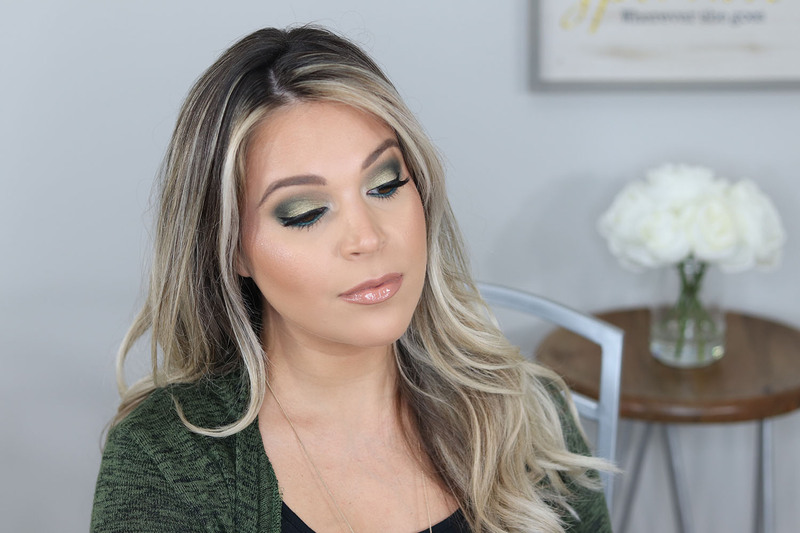 I chose to recreate this green makeup look using The Wants palette after sharing a few different eye looks on my Instagram and having my followers vote. If you’ve never played with greens and are scared of them, fear not! I think green is such a fun way to play with color while still being pretty wearable. This particular look is definitely more dramatic, but if you stop right before I applied shades Corduroy and Dark and Early, you’ll find it to be soft and still daytime appropriate. All of the other products I used on my face are listed in the description box of the YouTube video, if you’re interested. I’ll tell you right now – this is not an OMG THIS PALETTE IS SO PIGMENTED YOU NEED IT IN YOUR LIFE RIGHT NOW kind of thing. Not all of the shades perform equally. Some have a lot of kick up, some won’t apply well with a brush (most of the shimmers do best with your finger or a dampened synthetic brush), and some are much more sheer than you’d think looking in the pan. BUT… it’s all workable and I can get really pretty looks using ALL of the shades. I can’t categorize any of the shades as fails, personally. And The Wants palette is only $20 for 24 eyeshadows. I think the packaging feels pretty sturdy for that price point and it includes a high quality, HUGE mirror. The variety of shades you get in this palette is unparalleled to any other palette I can think of and a lot of people may prefer the buildable nature of the shadows. Personally, I do prefer formulas that build up rather than only having one gear (intense pigment or nothing). 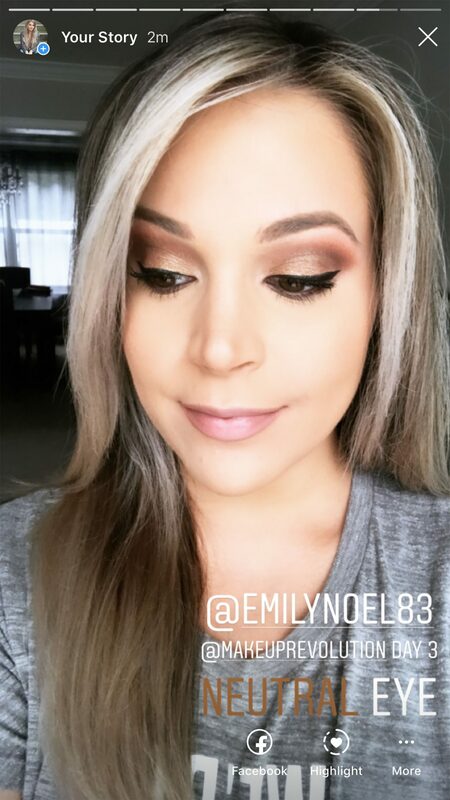 I believe Emily did a perfect job of staying true to her drugstore-loving preferences by partnering with Makeup Revolution. 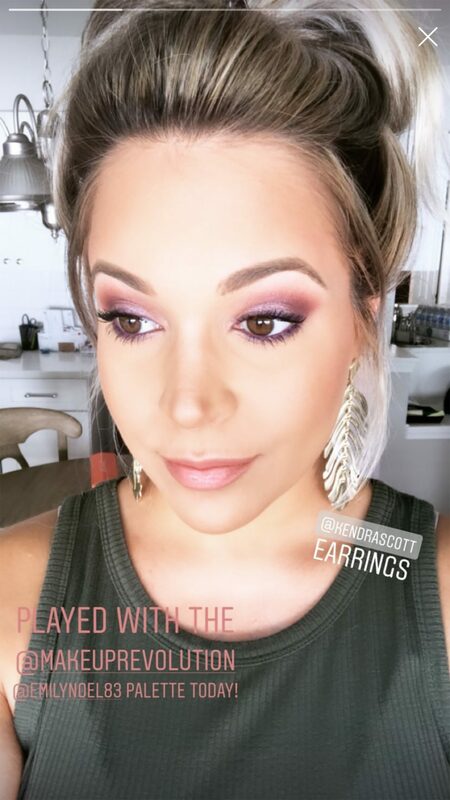 I also feel that she did an excellent job of selecting shades that can really inspire so many different looks. This is a palette I never get bored with playing with every day. There’s always a new combination of shades I want to try together. So overall, I think it’s an excellent deal for the price and most makeup lovers would enjoy this. You just can’t beat the $20 price tag. Pick it up at Ulta or on revolutionbeautyusa.com (although at the time of publication, it seems to be unavailable on their site). "Pregnancy Files: What’s In My Hospital Bag For Labor and Delivery (and baby’s!)" "Makeup Swap Unboxing and Get Ready With Me Collab"